Hello! 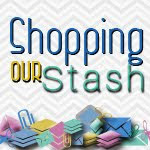 I’m helping Operation Write Home observe Memorial Day this weekend by participating in their blog hop. We’re remembering the brave men and women who have given their all for our country and its freedom by sharing cards made for the purpose of sending to our military members stationed overseas so that they may write home to their loved ones. OWH also sends “AnyHero Mail”, which are cards of thanks and encouragement to our heroes working far from home. 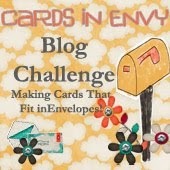 I’ve created two cards for this blog hop. First off is an AnyHero card, which turned out to be a lesson in perspective for me. I ran through a lot of problems while creating it. I wanted to use a stamp from one of my stamp sets for the main image, but it turned out to be defective, so I had to use the digital version of the image instead. (Thank goodness for alternatives!) That actually was a good thing because then I was able to resize the image a bit larger than the stamp version – and when having to color around those tiny stars, it helps to have it larger! Then the red and blue panels didn’t seem to measure up correctly to the card base, so I had to do a lot of fine trimming with them. It was all pretty frustrating – but then I thought to myself, I really don’t have much reason to complain because I’m working on this in the comfort of my own home, without worry of being under attack from enemy forces, while a lot of our heroes are risking their lives in the heat of the desert far from their families and homes. The things that were annoying me are nothing compared to what our heroes go through on a daily basis. Pretty sobering perspective. Anyway, here’s the card. I used OWH Stars & Stamps sketch #40 for it. Later I’ll write a note in it to one of our heroes, to thank him/her for the service he/she is giving our country. Next is a thank you card that one of our heroes can send home. I have a checklist of all the OWH Stars & Stamps sketches, and I’ve been trying to make at least one card for every sketch. I dug way back in the archives to sketch #5 for this card. It’s a very unusual card for me because there is no stamping on it! The flower and the sentiment oval are both rub ons that coordinate with one of my Basic Grey paper pads. Before I send the card to my OWH shipper, I’ll be sure to add a white liner sheet inside of it, since the cardstock base is kind of dark. This will help make whatever is written inside be more easily read. So, that’s it for today! 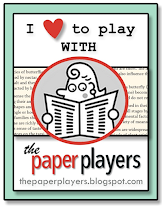 To see the rest of the blog hop participants’ creations, click on the OWH banner at the top of this post. Thanks for stopping by! All comments are read and appreciated. Enjoy the rest of your weekend, and be sure to take some time to remember our heroes who have died in service in order to make our country and world a better place. Such nice cards, Patricia – love them both. That mouse on top is adorable, and I do love your no-stamping card, all kidding aside! My favorite little mouse Cocoa jumped right out of those thumbnails into my heart 🙂 What a great hero card with those patriotic colors! The clean & simple design on the 2nd card is beautiful, and I love the soft plaid papers! Happy Memorial Day weekend! So love the little mouse. I think that’s my favorite of the two. When i srolled down to see your cards. I said out lou.. aaah..so cute! Tfs! Both cards are awesome! Love the little mouse on the Any Hero card, he is adorable. Both cards are sweet, but esp the first one. Definitely will bring smiles to who ever receives these cards. Two great cards…love the image on the first…he just popped off the OWH page he is so darn cute! Great papers/colors on the second card…I have a thing for plaid! tfs!!! Hi Patricia! Glad to see you’re participating in the hop! Both of your cards are Wonderful and worthy of our heroes. I’m glad that you gained a good perspective from your troubles. On your first card, you did a great job coloring. On your second card, the rubons are so pretty, and I would never be able to tell you didn’t stamp them! Hi Patricia! Love that Patriotic Cocoa and agree that the field of stars can be challenging to color! Your second card is awesome because it could be for a guy or a gal. Have fun hopping! Love the mouse. Super cute Digi and great coloring as well. Two fabulous cards!! Cocoa looks good in red, white and blue! Your second card is beautiful too. How fun to use rub-ons for a change. Lovely cards–I like that little mouse peeking out from behind the star–where did you find him? I love the second card because of it’s simplicity and great color combination. Happy Memorial Day Weekend! Patricia, awesome card, love the little mouse, too cute. Wonderful cards! I am glad I am not the only one that has problems sometimes. These are both fantastic cards, Patricia! And thank you for the reminder about perspective – I too can get caught up in the little annoyances day to day and it’s always good to remember to be thankful for what we have!! PS – we had the same idea about filling in a spot on our sketch tracking sheet, lol, I also did an oldie but goodie! 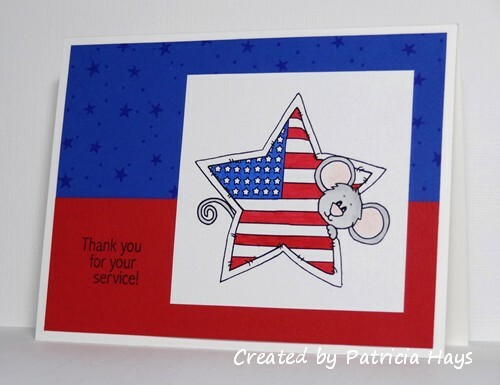 Great cards, I really like the patriotic mouse stamp…too adorable! Thanks for the inspiration (rubons ?!?? 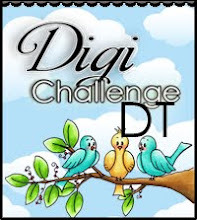 and cute digi image!) and making cards for our heroes. Great cards, Patricia! I got started with OWH last fall and said I was going to work through all the sketches as well. I haven’t done a very good job of it. Thanks for the inspiration! Loving the “no stamping” card. I thought the flower might have been stamped! Hi Patricia! Really great cards…of course, I’m a lover of stamps but you could fool me here!! These are so cute. I love the star stamp. That mouse is just too cute! I am drawn to cards that use stars and your little mouse peeking out from behind is a great image. TFS! 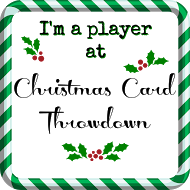 Come and see what I’ve done lately! These are wonderful cards! Love the sweet mouse on the first one, and the soft subtle colors of the second one! Love these cards! Very nice card with no stamping, so clever! Great cards! I especially like your any hero card with the patriotic colors. Great job of coloring, too. Love both cards, but that little mouse peaking out behind the star flag is just the cutest. Two terrific cards Patricia! I am especially happy to have you showcase a card without stamping. I have some friends who are ‘stamping challenged’ and cards like that one prove without a doubt that you can make a beautiful card without owning a single stamp or g=having to get anywhere near an ink pad. Thanks for joining in the hop and supporting Operation Write Home! So cute image on the first card. It is very nice card without any stamping for the second card. I mean… as it is great! Thanks for inspiring and supporting OWH. The mouse is adorable, and the flower card is elegant. Nice job. Just love how the patriotic mouse is peeking out behind the star. Both cards are great. Both cards are wonderful. I especially love how the colors pop on the first one, with that cute little mouse peeking around the star. TFS! I love the little mouse and patriotic star!! Perfect for the troops! Thanks for participating in the OWH blog hop! Great cards—very happy you were able to overcome the frustration on making the first card–it’s striking. Image is adorable. Both of these cards are terrific and since I have done these 2 sketches yet, they are wonderful inspiration! My fav is the card with NO stamping. It is nice to see how creative a card can be with no stamping. I am still getting used to stamping something other than sentiments. It’s a slow lesson…. 🙂 Thank you for supporting OWH and have a great weekend. Both cards work well. They are very different. It’s nice that you shared your frustration and how you overcame the difficulties!!! Thank you for supporting OWH! I love both of these cards, great job! I really love the cute little mouse stamp! Love the mouse behind the star. Love digital stamping. Cute image. Second card is really pretty. Lovely colors and papers. I adore your cards. I love how well your choice of pattern papers go so magnificiently with them. Both cards are great but I just got into coloring so I am really digging the one with the adorable mouse. Thanks for supporting OWH. Red, white and blue, always a great combination. The little mouse is a great addition. Thank you for sharing. For something that caused you so much grief, the little mouse card sure is adorable & turned out great. the image on the top card is too cute! I like both of your cards, but I also enjoyed reading your description of your frustration – and realizing that, in the scheme of things, your challenges were small. 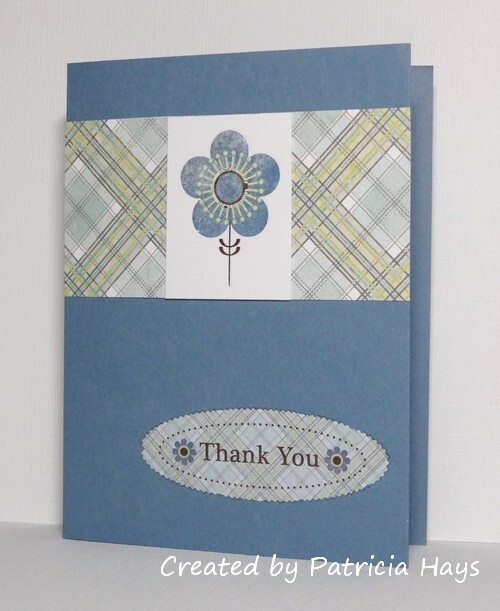 Love the gray card stock, so pretty with the blue and yellow. that star and mouse image is adorable!! so cute for a kid or grown up! Great cards! LOVE the mouse!! What wonderful cards. That mouse is so cute. Great cards! Love your peaking mouse. 🙂 Have an awesome day! Such wonderful cards! I especially love that adorable mouse with the patriotic heart. Fantastic cards! I love that adorable little mouse! Adorable cards! Love the mouseE! Your cards came out so very nice!! Wow, Patricia! 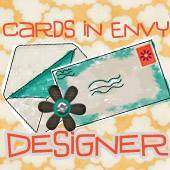 Your cards are fantastic! I love that cute mouse. I know our heroes will appreciate your cards. Nice cards even if you did have a lot to trim up you would never know that. Great cards, love the little mouse peeking around! TFS! Your first card is too cute with that adorable mouse peeking around the star – your coloring is so nicely done & matches the background papers perfectly! And your second card is really nice too & I like how you made the flower the center image. Thank you for sharing these wonderful cards & for your support of our heroes and OWH. Great cards, I especially love Patriotic Cocoa, he is just so cute! Your cards are both amazing…but who wouldn’t love that little peek-a-boo mouse? I love him! Our Heros wouldn’t care if there were no stamping cuz this is still a cute card. My favorite is the mouse though and I like the colors on it! Both are great cards, but I adore the mouse! both cards are so nice, you’d never know you had issues with card 1 except that you told on yourself…but I like the perspective! I like the digi mouse and star. 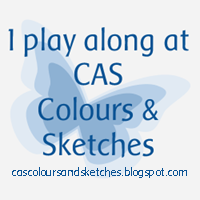 Card 2 is very CAS sometimes less is best. Thank you for sharing and for supporting OWH! Simply adorable! Love that little mouse with the star! Forgot to say, that it certainly puts things in perspective when you think about what our Troops endure day after day. 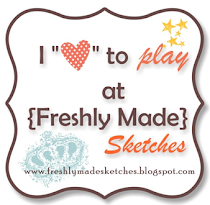 Hard to get that upset over an uneven paper cut or a miss stamped image! Makes you realize just how lucky we are and how much we owe to them! Adorable card. I love the star with the flag and that cute lil mouse popping out. So cute. Wonderful coloring. Your second cardis so pretty. Great choice of colors. Thanks for joining in. Both cards are great. Love the cute mouse and the patriotic theme on the first cards. Love the soft colors on the second card. Thanks for supporting OWH. Thanks for sharing your creations, they’re both fabulous! I especially like that peekaboo mouse on your first card! 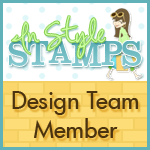 That is a darling mouse stamp, digital or not, I’m so glad you did use it! Both cards are beautiful…thanks so much sharing! Cute card with the little mouse! Love the red, white and blue!! Great cards! i love the mouse one. Too cute! That cute little mouse has my heart…..your cards are both amazing and I love the “thank you”….it’s gorgeous. Great cards that will be appreciated. Love the Patriotic Cocoa image. Great job coloring him. These cards are just adorable! Thank you for supporting OWH. Awesome cards–they are so adorable! Thanks for your support of OWH! 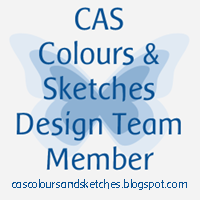 Love your colors and designs. Great cards for OWH! Love that cute little mouse peaking around the star. Thanks for sharing! Lovely cards! The mouse is super cute and perfectly patriotic, and the flower is beautiful against the backdrop! Two great cards, but I especially love the first one with that adorable little mouse peeking around! 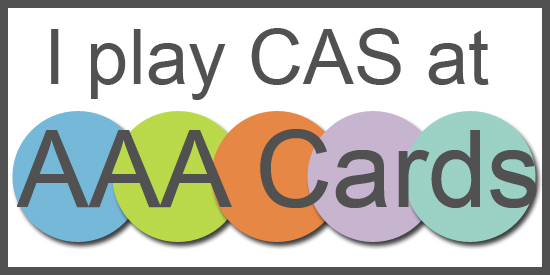 Love the card & the CAS design on both. Okay…as much as I adore that little mouse, I like the second card best. Maybe it’s the “no-stamping” thing, but I kept looking at it and just fell in love with that flower. Lovely! Thanks for your participation in the OWH Blog Hop! The mouse with the star is really cute, love the colors you chose. Great thank you cards! I love the mouse peeking around the heart. You remind me that I need to stop complaining. So many families wish they were together, instead of deployed. I have so much to be thankful for and am so grateful to those who gave their all for us!! Absolutely adorable. That mouse is so darned cute! Great job. Thank you for sharing. Ur cards r lively and beautifully balanced! TFS! Both of your cards are super cute. I especially like the patriotic mouse card. Both cards are very pretty! Love the colors on both. i’m sure the lucky hero who receives your card wlll really enjoy it. your second card idea is a great way to use up scraps, always lots of them around my stamp room! I love the mouse card. I am not computer savvy enought to be able to incorporate computer images on my cards. I have to rely on stamps. Both cards are just great, but I think I just lost my heart to that little peeking mouse! Too sweet. That mouse is absoulately adorable. And I like the idea of having a card with no stamps. I’m seeing a personal challange. Oh my goodness, what an adorable mouse! And the second card is just so lovely! I never use rub-ons anymore, but yours look great. I love your cute little mouse card. Thanks for sharing and for supporting OWH. Two wonderful cards! I love the sweet patriotic mouse on the first one and the second is just so pretty! Love your perspective on difficulties while crafting! I love the two cards you made. The mouse is 100% my style. The second card is beautiful, and no stamping? What a concept. Thank you for sharing.